Summer Days – a brand new UK festival – has today named it’s dates, ticket prices and first of three major headliners. Taking place on 6, 8 & 9 July 2016 in the grounds of the historic Clitheroe Castle, Summer Days Festival has revealed soul and pop legends Simply Red as the first headline act on Wednesday 6 July. Buoyed by the excellence of new album ‘Big Love’ released in June 2015, the world-renowned Simply Red - made famous by a string of massive hits including Money’s Too Tight (To Mention), Stars, Holding Back The Years, and If You Don’t Know Me By Now - are back on the road next year including the headline slot at Summer Days Festival. I like an anniversary, and this is a big one,” says Mick Hucknall. “30 years! It's incredible. What a great thing to celebrate. Summer Days promises to be a three-day boutique music and food festival in one of the North’s most beautiful and unique locations. With two live stages featuring more than 30 artists, a locally sourced gourmet food village and a dedicated real ale area there is much, much more still to be announced. 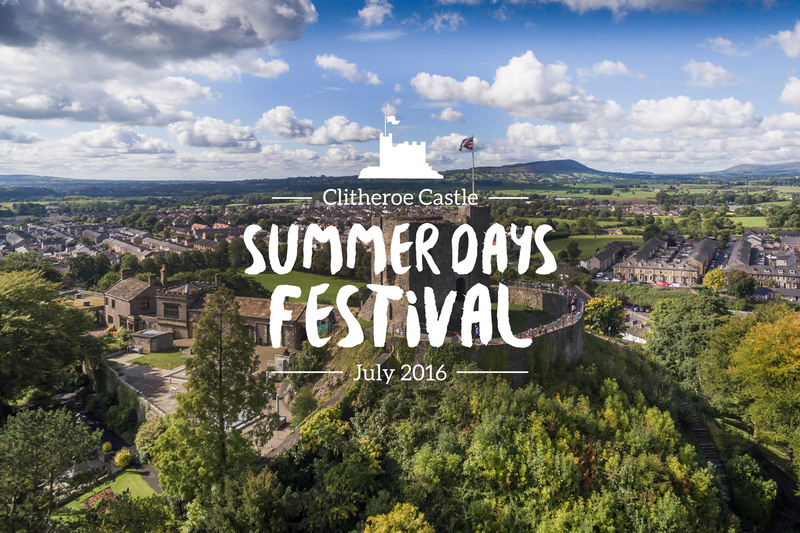 Said organizer John Tyrrell: “Clitheroe Castle is the perfect location for Summer Days. The grounds are stunning and the castle itself as a magical backdrop is going to be jaw dropping. It’s also not the first time a music festival has happened on this site. Clitheroe Castle Pop Festival ran here for four years in the early 70’s with artists like Barclay James Harvest, UFO, Roy Harper and MC5 so in a way we are rekindling the fire. Summer Days Festival will announce two additional headline acts and a full bill in the coming months as well as a full festival programme including exclusive Summer Days experiences and a high-end food and drink offering. Presale tickets will be available from 10am on Wednesday 21 October with general ticket sales opening at 10am on Friday 23 October. General access tickets will be available at £55 per day A limited number of daily VIP Upgrade tickets will be available at £75 each.